Legacy sales in Canada are down 20 per cent to 2,069 units through October this year. CLARINGTON, ONT. — Subaru is doubling down on the Legacy sedan, aiming to gain market share even as buyer appetite for midsize family cars continues to shrink. Legacy sales in Canada are down 20 per cent to 2,069 units through October this year, putting it well on pace for an annual sales decline following an 11 per cent gain in 2016. Canada’s sedan market will not make things any easier for the Legacy, which received a significant refresh for model year 2018 and is due for a redesign for 2019. According to DesRosiers Automotive Consultants, Canadian sedan sales are projected to fall to 67,715 units by 2021, down 60 per cent from 2012 and 43 per cent from 2016. DesRosiers projects the Legacy will increase its market share in Canada to 3.7 per cent by 2019, from 2.5 per cent in 2016. 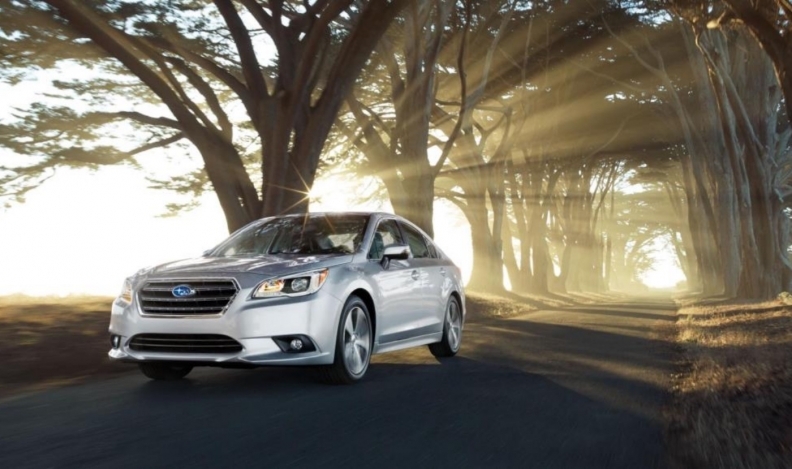 Subaru sees the Legacy as key to winning over new customers and building brand loyalty. Lychak said that while about one-third of Canadian Subaru buyers are returning customers, about 56 per cent of Legacy customers buy another Legacy. Subaru’s North American unit sees strong opportunity for the car in the United States, as well, where the Legacy was one of just three midsize sedans to report a year-over-year sales gain in 2016. The refresh for 2018 brought a sportier look to the exterior as well as interior upgrades. Key exterior upgrades included a wider grille, redesigned headlights and new door mirrors that Subaru says improve aerodynamics and cut wind noise. There’s a redesigned steering wheel and an overhauled infotainment system, which now comes with Apple CarPlay and Android Auto as standard equipment. The infotainment display is larger, coming in sizes of 6.5 inches or 8.0 inches. Subaru no longer offers a manual transmission for the Legacy due to a shrinking market for manual gearboxes. Just three per cent of Legacy buyers in 2016 bought one with manual transmission, down from 12 per cent in 2012. The refreshed Legacy, which arrived at Canadian dealerships this summer, starts at $26,645, including $1,650 freight.